This short article was recently published int he Sportsman Alliance of Maine (SAM) November/December 2014 Newsletter . . . enjoy! Bedtime this past Saturday evening was highlighted by my 6 year old confidently pronouncing, "Daddy today was the best day evah!" Considering the achieved levels of decadence of his past birthday parties and how badly he was spoiled at Christmas, I considered this an extraordinarily bold statement. So, one might ask, what life-altering event could be so incredibly spectacular as to spur my young son to utter such a statement? To the dedicated sportsman, it should come as no surprise that this proclamation came on the heels of his first day duck hunting. For me, starting to hunt was a relatively easy endeavor, having grandfathers, father, and an uncle who were all registered Maine guides and passionate about the outdoors. From a time shortly after I began walking, they helped me take the steps in my outdoors training that eventually led me to become interested in hunting. What most people don’t understand is that hunting is much more then handing a young boy a rifle and pointing him in the direction of the woods. A hunter is someone who has undergone years of instruction and guidance, developing an understanding a large number of individual skills and eventually building to the mastery of a diverse set of abilities. Most importantly, before venturing forth into the wilds, one need to learn to be safe and comfortable in the woods, how to use a map and compass and know what to do should they become lost or injured. A hunter knows how to properly dress for the bitter north winds and how to start a fire in the wettest and direst of circumstances. 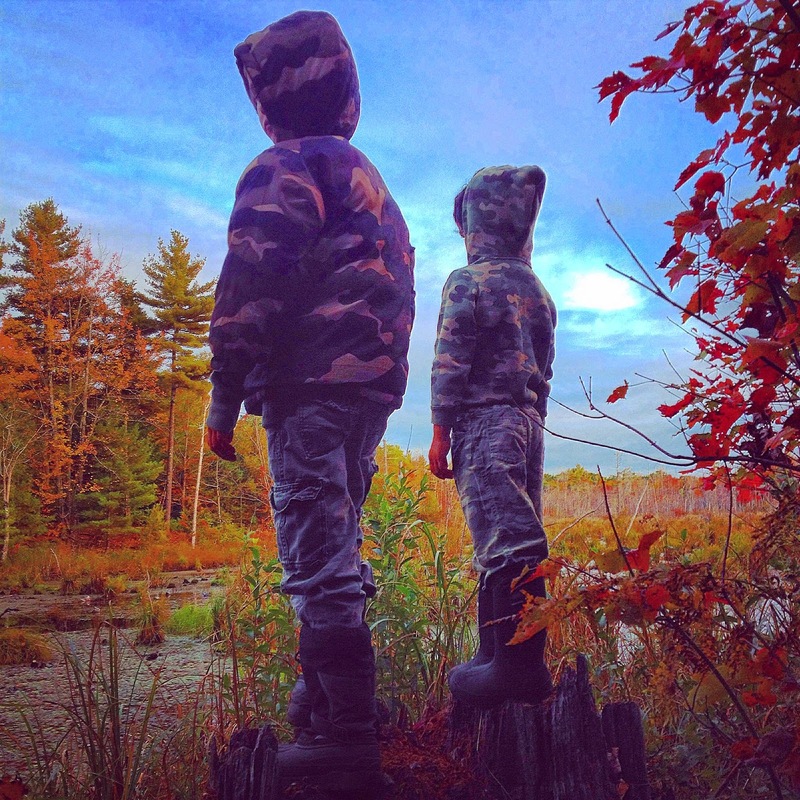 These are fundamental skills that should be learned early by all outdoorsmen. To hunt game ethically and well, one must understand the animal they are pursuing, know its tracks, behaviors and where it is likely to bed, habituate and feed. A hunter must know how to shoot from a variety of stances, understand the inner workings of firearms, including how to clean and care for them. To humanely kill game, a hunter must know the animal’s anatomy and where to place a shot to quickly dispatch it. A hunter must know what to do should that bullet not be perfectly placed and an animal need to be tracked. A hunter must understand how to field dress, butcher and properly care for a killed animal, so the meat is not wasted. Lastly, it is the best of hunters who know how to properly cook game and prepare it for the dinner table. All of these lessons are important as they’re the basic building blocks of creating an understanding and respect of the outdoors and the animals we as hunters pursue. Most people go to a supermarket, pickup a piece of meat, secured in plastic and don’t think: “Where did this meat come from? Did the animal suffer? Was it raised in captivity?” When a hunter shoots a deer, he has a pretty good understanding where that meat came from, whether the deer was taken humanely and know that the meat he is harvesting is completely organic. Hunters understand what hard work it is to take an animal from the field, clean it, butcher it, package it and make it ready for the dinner table. We as a society aren’t passing this connection on to the next generation and teaching the importance of these skills. Our society reeks of trouble, too many things vie for our attentions, frequently removing us from the natural world and keeping us inside. Videogames, movies, the Internet, smart phones . . . we’re always connected, absorbed, distracted, multitasking and whether we know it or not, overwhelmed. Kids simply aren’t bored anymore; they always need to be entertained. And when those kids are put in an educational setting, unless the teacher is jumping on the desk or standing on their head, they just can’t hold the students’ attention long enough to teach them anything. That’s unfortunate. The education side of introducing women, kids and people who have never had a chance to hunt has come full circle for me now that I have kids. I have 6 and 8 year old boys, and while I would like them to grow up sharing my passion for hunting and fishing, I’ve always said it’s their choice and I’d never force it on them. I provide all of the entry points, but if they don’t want to take it up, that’s up to them. Their “wild” education started out identifying animal tracks in the winter, chasing rabbits and squirrels through the spruce thickets. Now they’re of an age where I take them hunting with me. This past October they joined me in the duck blind and on frequent walks hunting gray squirrels, rabbits and partridge, sometimes during these outings there is whining, often they struggle to be quiet and typically we arrive back home empty handed, having invested hours in the wilds with not a game animal to show for our exhaustive efforts. However, hunting is so much more than harvesting a game animal; hunting at its roots is all about bringing family and friends together, connecting to the food eaten, having respect for animals and working to preserve this heritage for future generations. Hunting is ultimately only 10 percent about harvesting an animal. The remaining 90 percent is about hanging out with family and friends, spending time afield enjoying Mother Nature, and the frequent quiet, self-reflective moments.